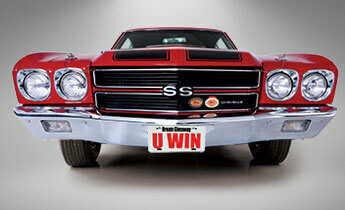 Chevrolet created the ultimate muscle car in 1970—the big-block Chevelle Super Sport. It hit the streets at the heyday of the muscle-car era—a time of high performance, high compression and no emissions controls. Today, the 1970 Chevelle SS is the last true testament to the days when the phrase, “There’s no replacement for displacement,” was the solemn rule of the street. Well, wait no longer, Dream Giveaway fans. At the conclusion of the brand-new 2018 Chevelle Dream Giveaway, we will fly one lucky person to Clearwater, Florida, to go home with another drop-dead gorgeous, fully restored 1970 SS396 Chevelle. This grand-prize SS396 Chevelle is one of the rarest muscle cars on earth as it features the high-performance L78 motor. 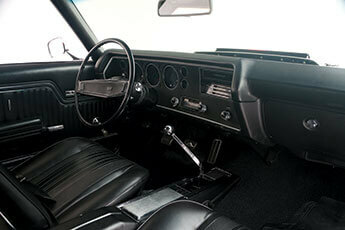 Only 2,144 Chevelles were produced from September-November, 1969, for the 1970 model year with this option. 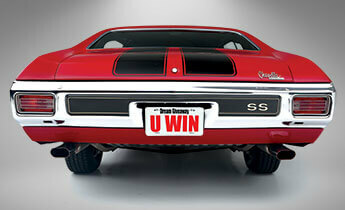 The L78 big-block is Chevrolet’s high-performance 396ci motor. It features 11.0:1 compression, a solid-lifter cam, an aluminum low-rise intake, a Holley 780-cfm carburetor and high-flowing heads. 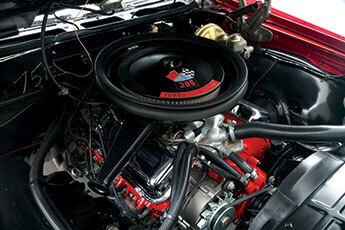 Unlike other SS396 Chevelles, it also sports a special 6,500-rpm redline tachometer. 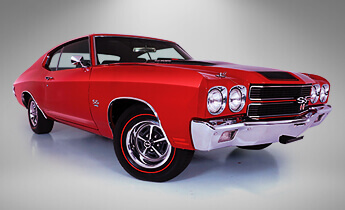 This grand-prize Chevelle features factory-correct Cranberry Red exterior paint with expertly applied black hood and decklid stripes, a perfectly detailed engine bay, and a finely restored bucket-seat interior complete with a close-ratio four-speed transmission, rally gauges and a floor console. 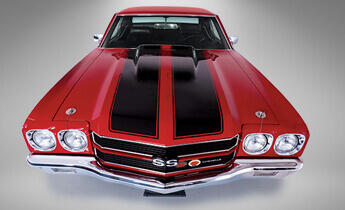 Enter and win and your new Chevelle comes with the muscle-car community’s highest honor—the Antique Automobile Club of America (AACA) Grand National Champion attesting to its top-notch restoration. That’s because this grand-prize Chevelle was fully restored to concours condition, including show-quality paint, interior, decals, and engine bay. Thanks to our promotional partner National Parts Depot, this 1970 SS396 Chevelle features the most-correct restoration components available in the world today. It was specially chosen to appear on display at National Parts Depot’s showroom in Ocala, Florida, among some of the finest restored muscle cars in the world. 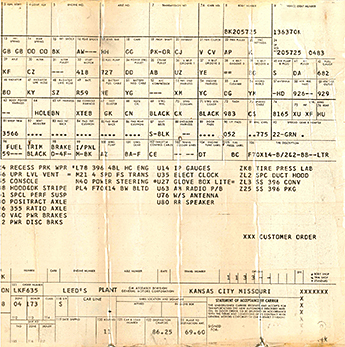 When you enter and win, we will also turn over to you this Chevelle’s original retail order form, two original factory-line broadcast sheets and even a photo from the early 1970s of the original owner with this amazing muscle car. Validating a true SS396 Chevelle is extremely difficult in today’s collector-car hobby, so we’ve taken all the guesswork out of the process for you with all of the accurate historical documentation. When you enter to win the 2018 Chevelle Dream Giveaway, you’ll be in the running for this concours-restored 1970 SS396 Chevelle Sport Coupe. Plus, we’ll pay $10,000 toward the taxes. Enter now.